I was recently inspired to resume writing my poker blog. 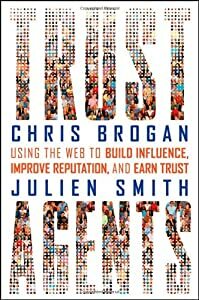 This was the result of reading the postings of both Chris Brogan and Julien Smith, Co-Authors of the New York Times Best Seller, “Trust Agents”. I was also inspired recently by reading the blogs of Scotty Nguyen and the PokerLawyer. Each of these individuals have posted ideas that resonated with my own thinking. Each of them sent out such positive information, that I felt compelled to resume my blogging journey. Even though each of their messages are different, it was their sharing and their enthusiasm for blogging and/or poker that made me realize that I should continue to share my journey and my story. My ultimate goal is to improve and to grow, both in the poker world and in the social media world. A blending of both worlds will enable me to learn from both groups of people. My Social Media skills should grow as the result of being an active part of the BTeam and my poker skills should grow as the result of being an active part of the online poker community. Already I have received very good information and advice from both professional and amateur poker players. Some of this advice was the result of reading books and blogs. Some of this advice was received as the result of “tweeting” and/or emailing with people. I even have had some personal training in the form of a WPT Boot Camp for cash games players. Some of the comments people have made to me on my blog, email or “tweets”, have lead me to believe that I am on the right track. The journey that I am on, is already getting more interesting day by day. What inspires or motivates you to continue learning and growing? What tools to you need to help you to grow? Please donate to Haiti relief – because we can! By now, I think that most poker players realize the seriousness of the disaster facing the people of Haiti. As a group and as individuals, we can help. 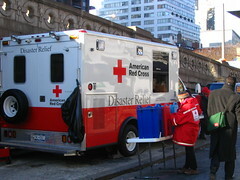 The easiest and best way to help is by giving a donation to any of the organizations that are set up to provide assistance in times of crisis. Just using your cell phone and texting, you can contribute cash – your service provider will bill you. Text the word “Haiti” to 90999 to donate $10 to the American Red Cross. Text the word “Yele” to 501501 to donate $5 to the Yele Foundation, the leading contributor to rebuilding Haiti founded by Wyclef Jean. Text the word “Haiti” to 45678 (In Canada Only) to assist the Salvation Army in Canada. There are other ways you can help as well. There are even poker events being sponsored to benefit the efforts of providing relief. One group, the Twitter Poker Tour, is sponsoring a tournament with proceeds going to the American Read Cross. Click here for details. Over the weeks and months to come, I am sure that more ways and events will be available to aid the people of Haiti. Please do what you can. No effort or donation is too small. Together we can make a difference. Being on personal tilt – how that affects you! Wednesday, an indirect personal interaction took place that left me on emotional tilt for the last few days. Initially after it happened, I tried to play in a cash game but did not have the ability to focus on the game. I was unable to play my game in the tempo and manner in which I normally play. After being dealt about 27 games, I clicked first on the “sit out” button and then clicked on the “leave table” button. Thursday, I was still on tilt when it was time to write my blog so I did not even bother. Personal tilt ended up affecting both my poker game and my blogging. By Thursday night, I had calmed down enough to try playing in the cash game. I wanted to try working through the personal tilt, recognizing that some day I might be at an event or tourney and I would be required to play regardless of what my emotional state might be. Overall, I played about 280 hands of poker and lost over $45 in the process of trying to work out playing on personal tilt. I know that some hands were played poorly but overall I had accomplished what I set out to do in spite of the bad results. Have you ever been on personal tilt? Did you try to continue as though nothing had happened? How did that affect your game, let alone your life at that moment? 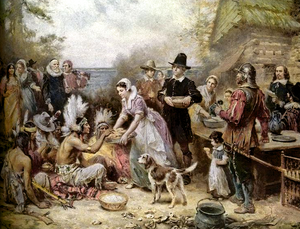 Just wanted to wish our US poker players a Happy Thanksgiving and good luck if you are playing anywhere today. From home, online to the B&B Pokerrooms around the US and the world. I also wish a good day to everyone around the world. Yesterday I shared some of the blogs that I read. After doing so, I got some responses and tweets about it. It made me realize that I have quite a few poker friends and poker pros that I follow on Twitter. I follow about 380 twitterers and I am followed by as least as much. Recently, when I mentioned that I wanted to find a way to cover up my cards when I play online poker, I got back at least 8 responses. Some were suggestions of how I could accomplish that. Thank you. Two were supportive of the concept and one even supplied me with a poker article about a poker player who played against 180 and won the tournament without once ever looking at her cards. One of the respondents was genuinely concerned that I might be giving up an edge to my opponent if I tried that out. For those of you who don’t know about twitter, let’s just say that it is a method of communications on the Internet. Twitter allows you to express yourself in a message of 140 characters or less. The messages are called “tweets”. The persons sending messages are called “twitterers”. Go to Mashable.Com to see a whole list of twitter terms. If you don’t have an account, that’s ok. Go to WWW.Twitter.com. Just use their search box and type in #poker or #tpt or even stevebrogan. There you will see the information that people are typing; their conversations. Caution: People are allowed to say anything they want, so cover your ears if bad words might offend you. If you don’t use twitter, you might be missing out on a new experience. Start slowing. Follow people and organizations that interest you. Participate and enjoy. Do you use twitter to enhance your poker experience? Do you follow the pros as well as the amateurs? Today’s post is a bit off topic as I share with you some of the blogs that I like to read and that I think have value. I use Google Reader and subscribe to about 50 poker related blogs. Using Google Reader allows me to preview the current postings and then choose the ones I want to read in detail. One of the blogs I read is the “Poker Bankroll Blog”, which uses guest writers. There is usually something there that I find educational or at least very entertaining. This week I read Swyyft’s posterous blog and was entertained by the story he shared concerning the chat during a session with a high stakes online poker player. The Mystical Jett is another blog site that contains very interesting and thoughtful posts and reviews. Jett’s twitter account is @mysticaljett. I play poker online from time to time with him. Paul Ellis writes on Pablos Place where he brings a lot of passion about poker, putting a “Bad Beat on Cancer”. On twitter he is known as @coolwhipflea. We also run into each other on the online felt. Bill Rini, a professional poker player is currently living in Thailand and always has something interesting, and very often, important to say about the state of online poker around the world at Bill’s Poker Blog. Just visiting to see what pictures he has posted there is an adventure. Follow Bill on twitter, @billrini. Goeff Manning, aka @cprpoker on Twitter, has at least three great blogs. Complete Poker Rules contains recent stories regarding poker as well as sections about the rules of various poker games. The Twitter Poker Tour site is both a forum and a resource for those of us who play on the #TPT tourneys. You will find the leader board, schedules and lots lots more. His latest site, Worth Cause Poker is dedicated to getting out information about fund raising poker events for charity. If you know of any local or national events, please let him know so that he can include it in his blog. These are just a few of the many blogs that I check daily. Do you have any favorite blogs that you go for poker news or entertainment? Do you have some that you would recommend to me or others?